A Walk in the rainforest and explore Templer’s Park from Kuala Lumpur. 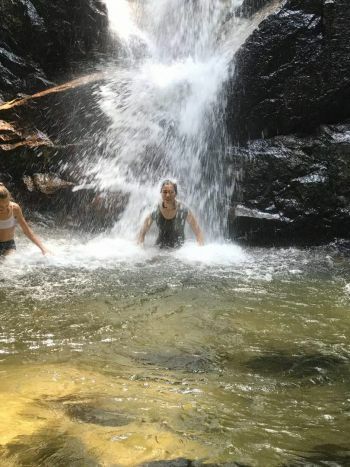 Escape the city’s busy streets for a natural Experience Malaysia’s untouched nature just 15 miles (25 km) north of Kuala Lumpur. Templer's Park is a great spot for bird watching and jungle trekking with 6 waterfalls. The trek will approximately takes about 1.5 hrs to trek up and back. Templer's Park offers relaxation with its fresh air and breathtaking beauty of the nature. If you wish to take a dip you can at the 5th waterfall with a rainforest environment and much quite. 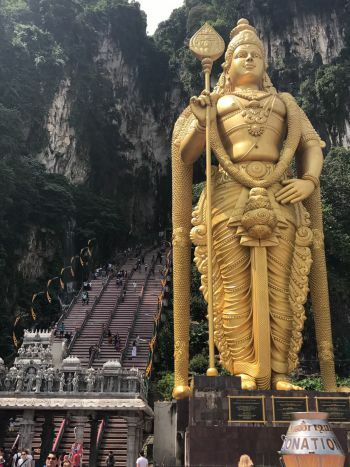 Later from Templers Park we depart to Batu Caves (20 minutes drive) and have a simple lunch.